Samsung Mobile is holding an event in New York on Monday, August 29 for a product announcement, for which they have sent out invites for the media. 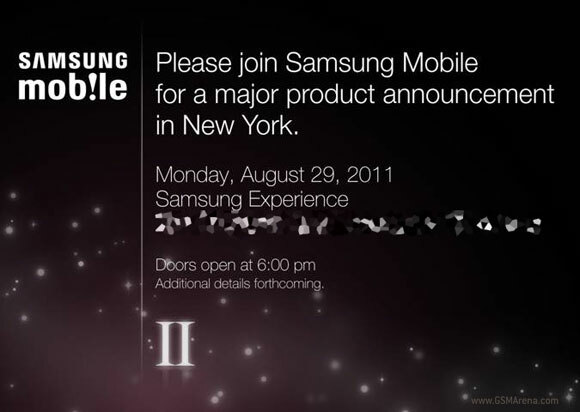 Although the invite does not specify which product will be launched all clues point to the fact that it will be the Galaxy S II. First is the fact that the invite image has Galaxy S II in the name and then there is the large “II” in the image as can be seen above. It’s possible that the phone will be launched on multiple carriers simultaneously. Whatever it is, we will keep you informed about it. Hasn't the Samsung Galaxy S II already been announced and released ?? ?